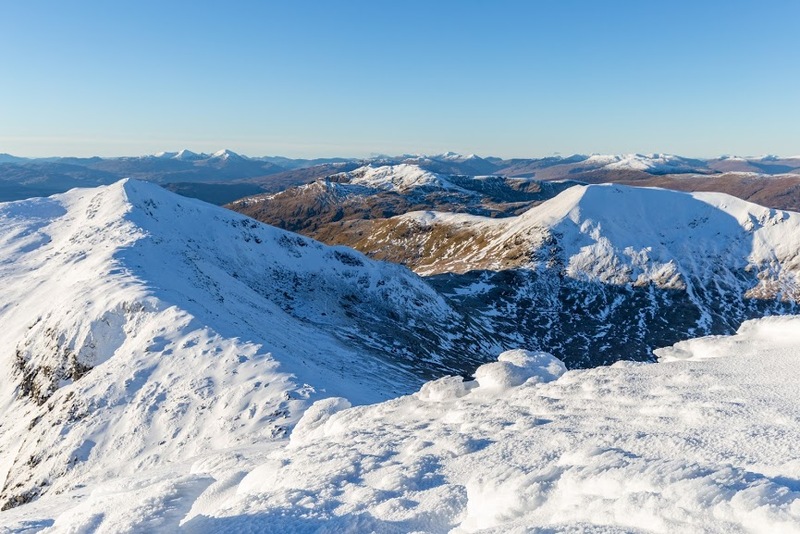 Ben Lawers (1214m) is a beautiful Munro in the southern Highlands. It’s a pretty high beast, actually the 10th highest peak in whole Scotland. But, the car park from where you climb the Munro is 400 m above sea level making the total climb just over 800 meters. It was the morning of 24th December when I arrived at the car park, ready for a snowy climb. I was the first weirdo there, all the other sane Christmas hikers were still in their warm beds, which was a smart idea since my thermometer in the car was showing -12 degrees Celcius. When the sun started crawling towards the horizon and the fog settled over Loch Toy, I couldn’t stop watching the scene. It was a mesmerizing play of green, orange and dark yellow, every second different and every minute more and more stunning. I was hiking along an easily visible trail that was winding up in a long valley. The terrain was easy at first, but it got steeper with the elevation gain. After an hour or so I reached Beinn Ghlas. Ben Lawers was proudly sticking it’s head up from behind and another 200m climb was awaiting me. I realized how much I love Scotland. How much I love this beautiful country that is so cold most of the year but it still managed to shape up such wonderful inhabitants. On the main ridge there was a few feet of snow. It wasn’t slippery at all so I didn’t take the crampons out, even though I was carrying them together with my new fancy ice axe. Ben Lawers from Beinn Ghlas looks really scary but the climb itself is not that bad, even though I wouldn’t recommend it without trekking poles that can help with stability. On top of Ben Lawers the views struck me still. Oh man, I had to sit down and think about something less exciting (like grass cutting) to calm my mind down. On the way down I chose to go through the Western glen. I was very tempted to climb Meall Corranaich and climb the ridge path on the way back, but I resisted and kept it simple. The way down in the glen is pleasant and very easy to follow but still has great views. 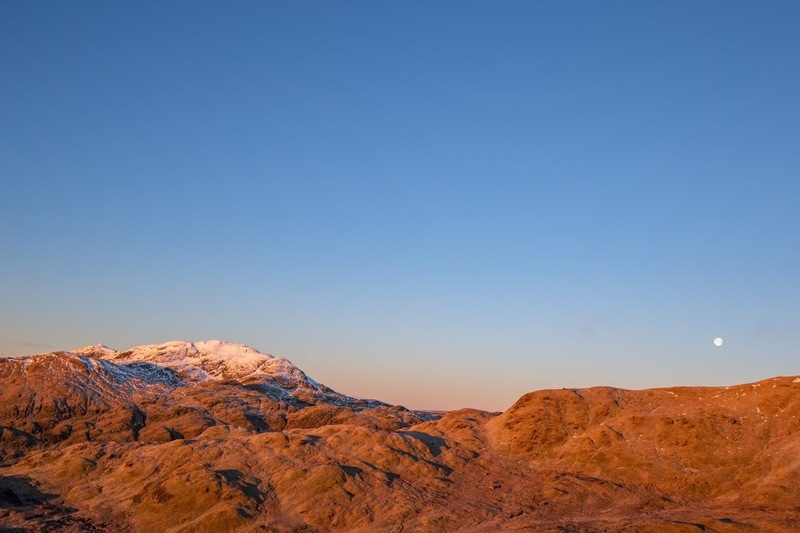 In particular, the views to Meall mal Tarmachan are lovely, and look like they could be on an IKEA poster. It was really great hike and the next time someone asks me where to go hiking in the southern Highlands, I’ll send them here. Be the first to comment on "Hiking to Ben Lawers from Loch Tay, Scotland"